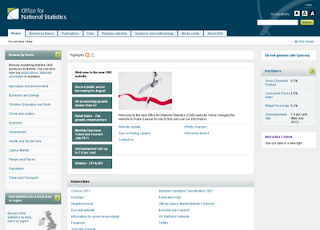 Not all that long ago, the Office for National Statistics unveiled their new website which, in my view, is significantly better than the old one (screenshot of the new site below). There have been some teething problems but I just wanted to highlight some of the interactive data features. There's a box to the right of the home page which says 'Interactive Content' and if you click on it you will be taken to a page full of more interesting visualisations of ONS data. 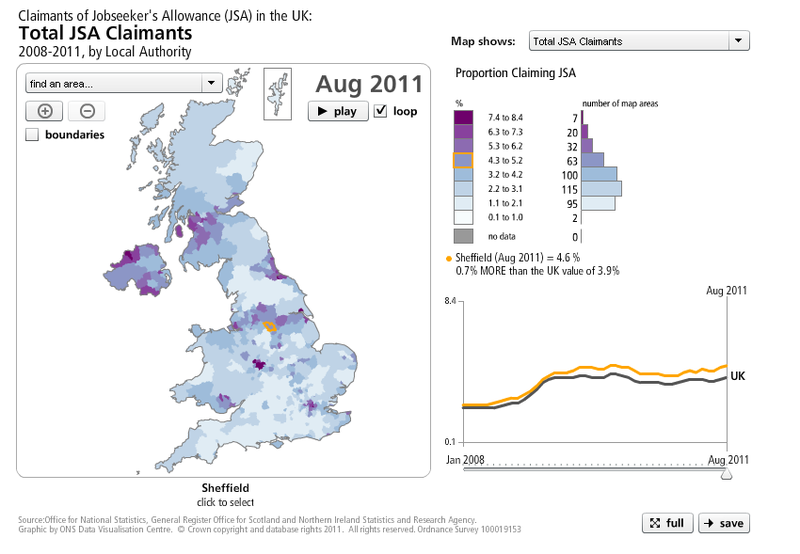 There's a map and data visualisation using unemployment benefit claimants plus lots more. On the population page, you can also see up to date snapshots for the UK, including the up to date total population (currently estimated to be 62.3 million). The site is not yet perfect but is definitely worth a closer look. Gas price rises have been in the news quite a lot in recent months, and with good reason. Clearly, it's a big issue in many ways so I've been trying to explore more about it from a data point of view. This is where the Department of Energy and Climate Change come in, because they now provide quite localised energy consumption data for the whole of Great Britain. There's quite a lot of it and it can be a bit messy and difficult to understand but if you want to find out more the full explanatory pdf is here. 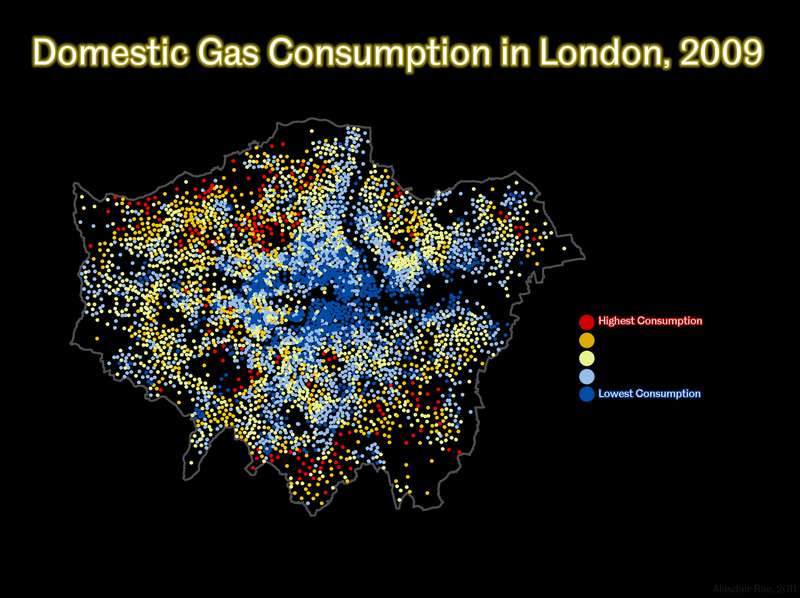 From my point of view, I was interested to see how it looked spatially, so I took the domestic gas consumption data for London in 2008 and 2009 and mapped it at the small area level. I've done a full screen map which you can see by clicking on this link but you can also see it embedded below, though it works best full screen. Click an area on the map to see consumption data for that area and a key which explains the colour coding. 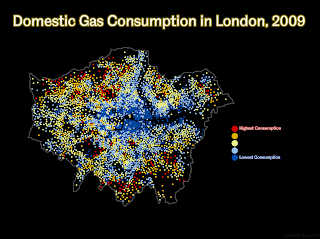 Finally, a simple dot map of where most domestic gas is used in London. This reflects a number of things, not least the size of properties, but perhaps also things like poverty and deprivation... The final thing to say is that the highest gas consumption areas consume about 41,000 kWh per year and the lowest areas less than 10,000. The London average is about 15,000 kWh. Since the US and China have both recently (2010) conducted a census I thought it would be interesting to look at some of the population results. Given the vastness of the US and China, I thought I'd do a little experiment and compare Chinese province populations with US states and European countries. 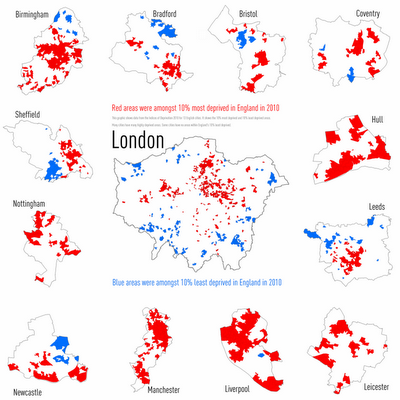 I've put this data into a spreadsheet as well and also produced a map graphic comparing various areas. The purpose here is to highlight the large populations of so many Chinese provinces. Guangdong province in China now has a population of 104 million, which is more than any European nation except Russia (141 million). The European part of Russia has 110 million. Poland, Shanxi province and California all have around 37 million people. Shanghai has 22 million compared to Romania at 23 million. Beijing and New York state both have about 19.5 million people. In total, ten Chinese provinces have a population of 50 million or more. The US and China have a very similar land area. Be honest, did you know that Anhui province has about the same population as Italy (60 million)? Finally, some non-Chinese comparisons. Greece and Ohio both have a population of about 11.5 million and Michigan and Belarus are similar at about 9.5 million. Wisconsin and Denmark both have about 5.7 million people, and Finland and Minnesota have about 5.4 million. At the lower end of the scale, North Dakota and Montenegro both have about 670,000 people.